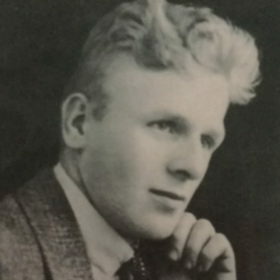 George Henry Jackson of Mansfield Road, Clowne, had been a miner since he had left school and had worked at Clowne and Whitwell pits for the Shireoaks Company, but towards the end of 1937 decided to change and work at Markham. George was one of the first volunteers to enlist in the war in 1914 and in 1916 he was awarded the Military Medal for acts of gallantry, bravery and devotion to duty on the field while serving as a stretcher bearer. George was married and had a son aged 17 years. He was buried at Clowne Cemetery with four of his colleagues. He was 42 years old when he died. George Henry Jackson (43), Mansfield Road, Clowne, is the eldest son of Mr. and Mrs. Martin Jackson, of Mill Street, Clowne. He had worked at the Shireoaks Co’s pits at Clowne and Whitwell since he left school, but towards the end of last year decided to make a change and went to Markham. He was one of the first to enlist on the outbreak of war in 1914 and in 1916 was awarded the Military Medal for conspicuous gallantry on the field while serving as a stretcher bearer. He leaves a widow and one son, aged 17.